A new microscopy technique enables visualization of beta-glucocerebrosidase (GBA) given in enzyme replacement therapy (ERT) to people with Gaucher disease. This could help improve treatment efficiency in this patient population, the researchers suggested. The study, “Localization of Active Endogenous and Exogenous GBA by Correlative Light-Electron Microscopy in Human Fibroblasts,” appeared in the journal Traffic. ERT for Gaucher disease consists of administration of a modified form of the GBA protein — the enzyme whose impaired activity underlies the disease — called human recombinant GBA (hrGBA). 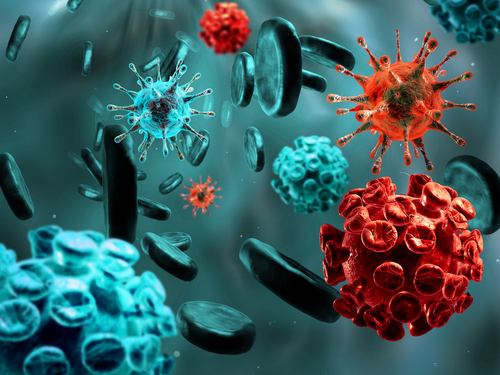 hrGBA enters immune cells called macrophages — the most affected cells in Gaucher — by binding to mannose receptors, found at the cellular surface. 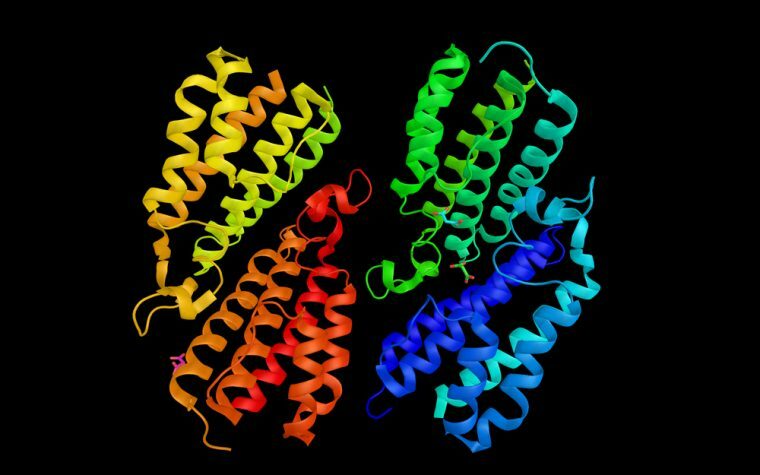 Activity-based probes (ABPs) that bind hrGBA with high sensitivity have enabled the visualization of this enzyme inside the cells. Coupled with a fluorescent tag, this binding can be detected with light microscopy, but does not allow studies of the precise (ultrastructural) details of cells. Aiming to collect information on the detailed localization of active GBA, a team at Leiden University, The Netherlands, used an approach called correlative light and electron microscopy (CLEM). The investigators also tracked hrGBA labeled with a fluorescent ABP following its binding to mannose receptors in human skin cells. First, light microscopy revealed locations where the cell’s own (endogenous) GBA and hrGBA overlapped, but also spots for either endogenous GBA or hrGBA. Substantial overlap was also observed with a marker of lysosomes — where GBA is meant to exert its function. Using CLEM, the scientists found that endogenous GBA was mainly located in lysosomes, where its overlap with hrGBA was further observed. Of note, locally produced and external GBA were tagged with probes of different colors — red and green. Using cells from a patient with no detectable levels of the lysosomal membrane marker LIMP II and with significant reduction in cellular GBA, the team found a decrease in enzyme activity to about 5% as compared to normal cells. According to the investigators, this suggests that GBA is secreted in the absence of LIMP II, leading to lower amounts inside the cells. Subsequent experiments with hrGBA tagged with a fluorescent molecule showed increased cellular uptake in the presence of mannose receptors, which was prevented when using a mannose receptor blocker. Similarly, all cells without these receptors had undetectable levels of hrGBA. This cellular uptake of hrGBA was continuous over six hours, as revealed by CLEM. This approach also showed that, unlike locally produced GBA, hrGBA could be found in cells lacking LIMP II, which suggests that the absence of this marker does not affect the delivery of the enzyme to lysosomes, the scientists said. Tagged Activity-based probes, correlative light and electron microscopy, GBA, lysosomes, mannose receptors.